Must see in Walnut Gardens-private neighborhood! Approx 3900 sq ft! Open flr plan! New carpet, fresh paint! Master bed down, w/ salon bath, his/hers closets, dbl vanity, whirlpool bath, separate shower! Spacious DR, LR, AND hearth room! 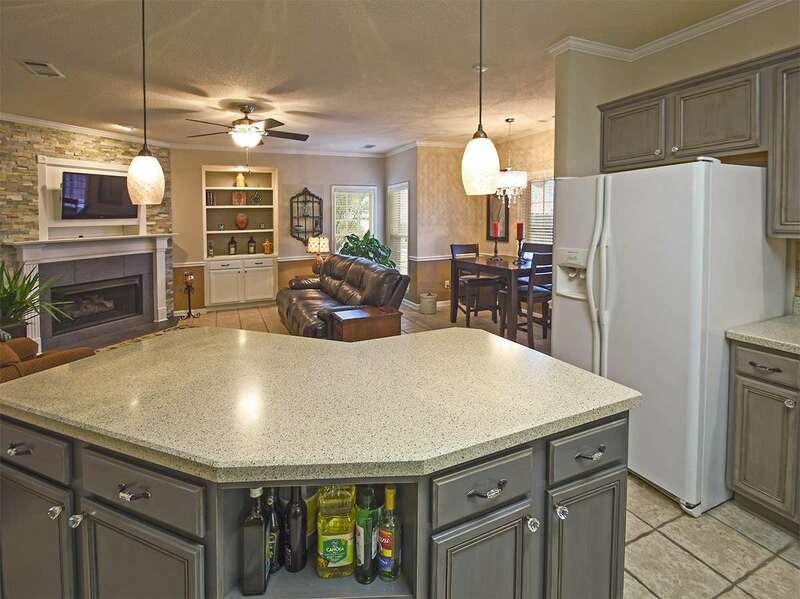 Renovated kit w/ dbl ovens, DW, fridge, island, huge walk-in pantry/laundry room! Rear stairs to 30x15 bonus room! Additional 3 (or 4) beds and media room up! Outdoor living too! Low maintenance ext-brick/vinyl, 3 c/g, 30 yr dimensional roof! Open house 1/6.